Posted on February 13, 2016 at 12:00 am. 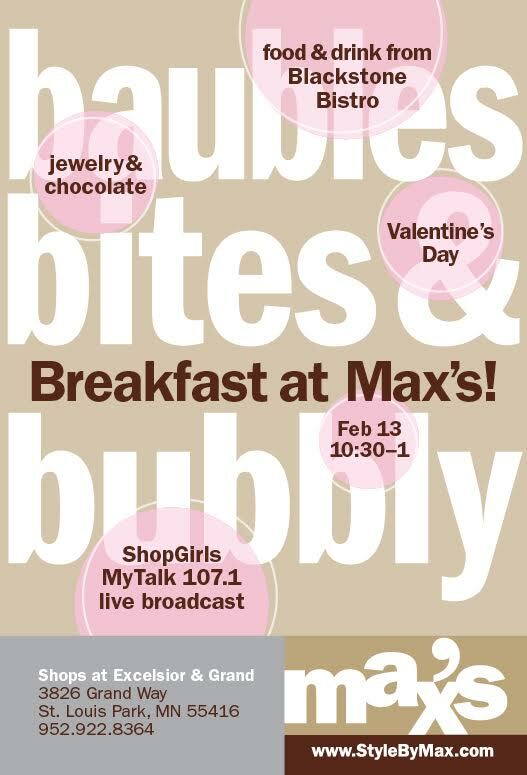 Stop by Max’s for baubles, bites, and bubbly! No reservations needed.